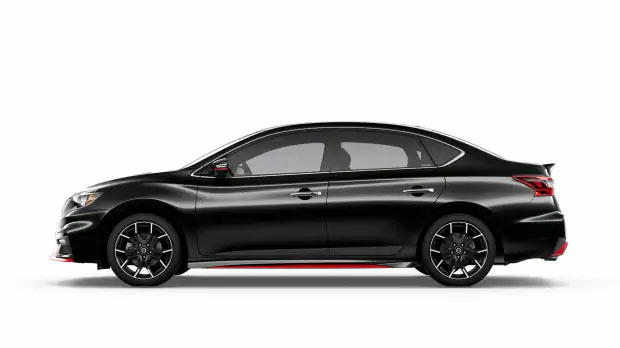 If you’re on the hunt for a sleek, stunning, innovative and impressively powerful sedan, check out the 2019 Nissan Sentra. Here in Little River, SC at North Strand Nissan, we are excited to announce the addition of these new Nissan vehicles to our vast selection of new cars for sale. You can find them here at our new and used dealership in a variety of styles, trims and colors. Feel free to delve into Sentra’s key features down below and then head over from North Myrtle Beach, SC to experience it all first-hand! 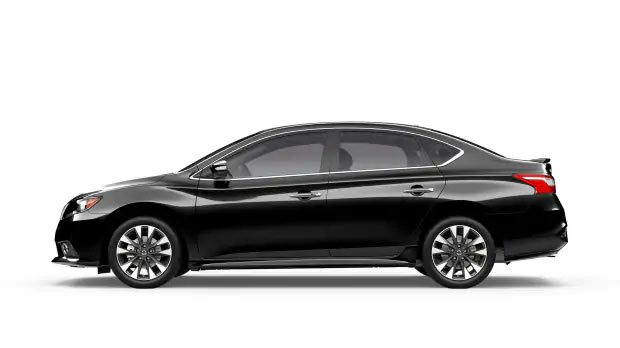 Your drives in the 2019 Nissan Sentra are motivated by impressive energy that issues from the standard 125-hp 4-Cylinder 1.8L engine or the 1.6L DIG™ turbocharged powerhouse. The Xtronic CVT supports you in spending less time at the pump while the sophisticated suspension system that includes front and rear spring tuning and damper tuning equips you with nimble handling and smooth rides. When you’re slicing through the wind within Sentra’s aerodynamically-inclined body, you can enjoy an on-road experience that is as daring or as subtle as you want thanks to the standard Eco mode and available Sport mode. For life on the go, Nissan engineers have equipped the all-new Sentra with numerous available Nissan Intelligent Mobility technologies that are as entertaining as they are convenient. You can take advantage of the Android Auto™ and Apple CarPlay® compatibility, Bluetooth® integration that allows you to enjoy hands-free calling, USB connectivity for easy charging and all the information you need to know displayed in crisp graphics on the 7-inch touch-screen display. Whispering through the wind at high speeds or cruising calmly down backroads are two driving experiences that are equally comfortable thanks to the many available and standard amenities provided to you by the 2019 Nissan Sentra. While concert-like sound quality from the available Bose® Premium Audio System surrounds you in rich bliss, you can take advantage of many satisfying available interior features like the Dual Zone Automatic Temperature Control, heated front seats and heated mirrors to keep you cozy on the road. Chasing thrills and enjoying futuristic on-road experiences. Those are best behind the wheel, rather than behind the screen. So, schedule your test drive of the 2019 Nissan Sentra or any other new car you’re interested and head over from Brunswick County, NC today!